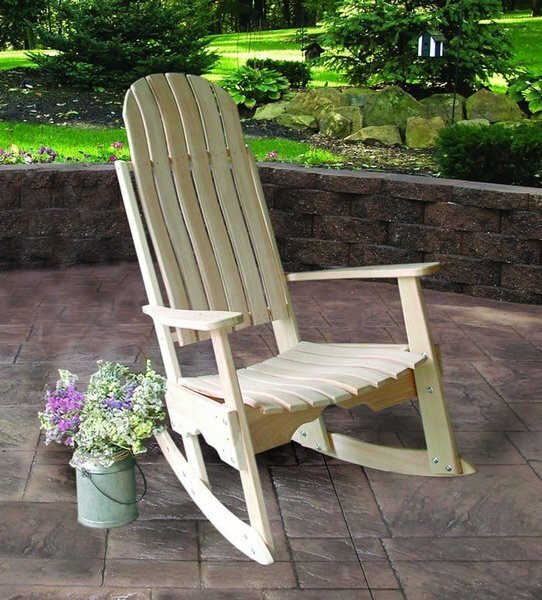 This cypress rocker is perfect for the front porch and even indoors. You will be impressed by the quality construction of our American-made outdoor furniture. Please call with questions on our wood rocking chairs as well as our other Amish furniture. These pieces are exceptionally comfortable thanks to the superior skills of Amish craftsmanship. Enjoy your rocker for many years to come. No detail is spared in the construction of your one-of-a-kind piece. Handcrafted in cypress wood with stainless steel hardware, this piece is sure to impress for many years to come. Some assembly may be required for this Amish cypress porch rocker.